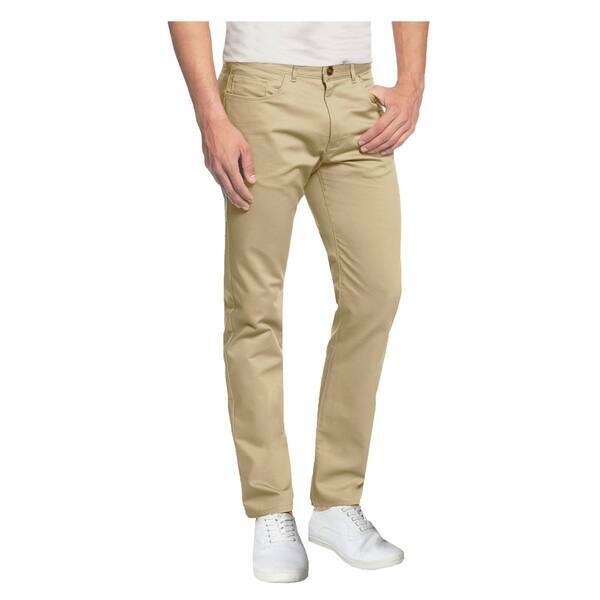 I wore them for the first time and really liked the feel and fit of these chino jeans, Good amount of stretch in the fabric and don't wrinkle being the knee or stretch in the front of the knee as some stretch jeans do, keeps you looking tailored! 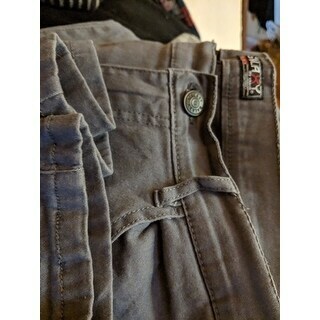 Pants look and feel of high quality. The moment they open up you can tell. The seem comfortable and stretching while also being elegant. They are a gift and will update when the wearer tell me about them. Perfect for my growing son! Stretch but nice looking. Fits true to size, length is good. No loose strings or buttons. Color is a nice neutral beige. Not too yellow. Absolutely amazing product. Fits great and awesome color. Great for work pants or even going out on the town. Bought these for work and can’t wait to wear them. The material is great, but these are unusually large for a size 34 waist. I was able to put them on without unbuttoning them. Pure junk,should be embarrassed to sell. Took about a month to come after many phone calls. Would maybe make fair rags at best.lt should not even get any star.